Alexa, how is tech bringing students together at SLU? Saint Louis University (SLU) has been upping its tech game lately to keep up with the booming momentum of St. Louis. As a university located in the nation’s ‘No.1 Startup City’ (Popular Mechanics 2015), it’s only fitting that SLU is bringing cutting-edge technology and experiences to its students. From smart software in residence halls to brand new buildings and lab spaces, SLU is investing in its environment for the next generation of tech-minded professionals. Part of the University’s mission is to educate the whole person. 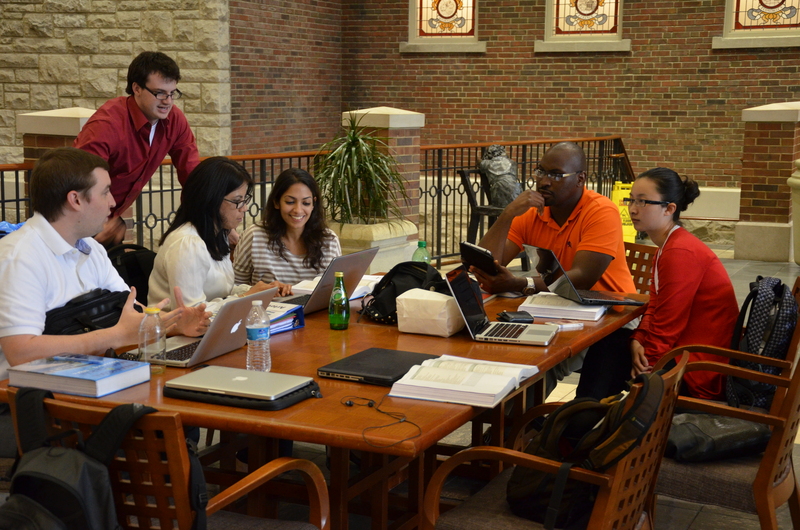 Bringing students together through technology helps fulfill this prominent pillar of the SLU experience. Alexa, what’s going on at SLU? Usually, students would get excited about having a microwave or a fridge in their dorm rooms for midnight snacks. 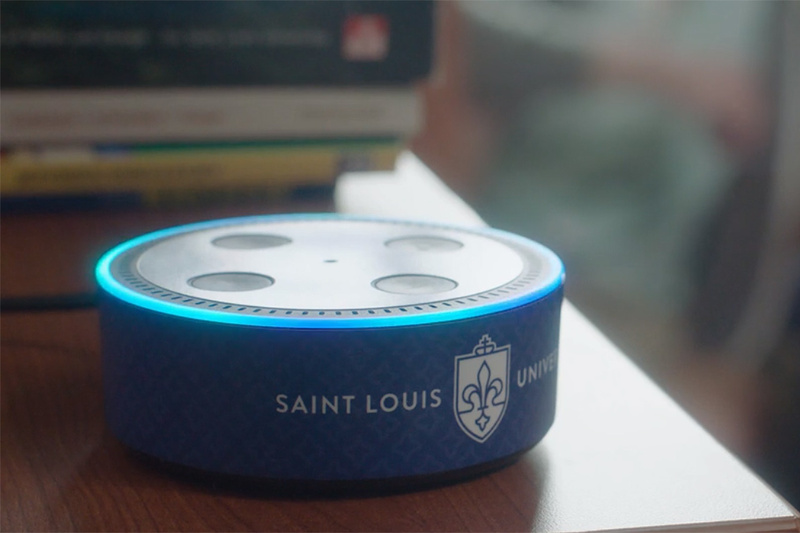 SLU has taken it up a notch by adding Alexa-enabled devices to every student living space on campus. They are the first university ever to do so! More than 2,300 Echo Dot smart devices with customized SLU logic have been installed throughout the on-campus rooms and apartments. These Echo Dots can answer all your SLU-related questions using intelligent voice-enabled technology. For students at SLU, the days of sifting through university websites for library hours, office hours and events information are over. By chiming a simple “Alexa,” students can stay up-to-date on the essentials. They can also enjoy other features such as music streaming from radio stations through iHeartRadio and TuneIn Skills. Alexa, how can you help SLU students? By answering frequently-asked questions, the Echo Dots make it even more convenient for students to get involved with campus life – without having to whip out a phone or laptop. Anything that helps students participate in more events and mingle with SLU’s diverse community is a huge plus for student engagement. “I think it’s really innovative,” added Katlyn Martin, president of SLU’s Student Government Association. “By interacting with technology in a cool way, our students will have another resource to find things to do on campus, to meet other people and to take advantage of the holistic Jesuit education that Saint Louis University offers”. Alexa, how else is SLU using the latest tech? 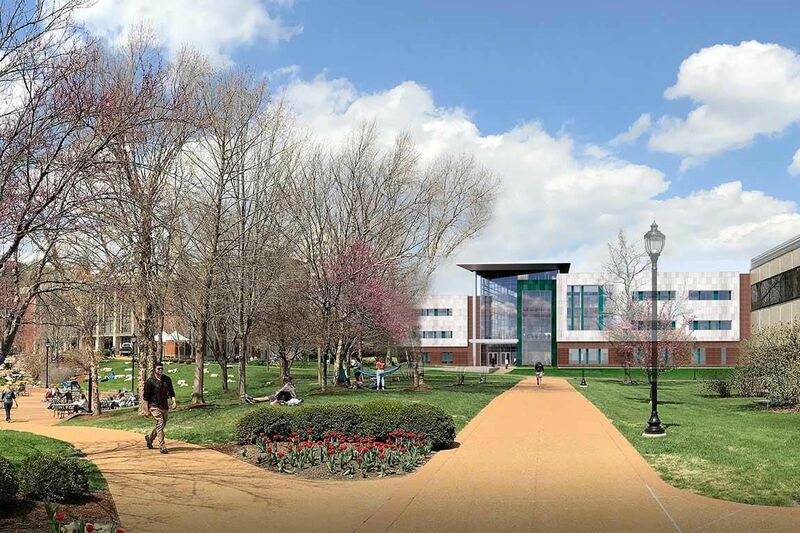 Always ahead of the game when it comes to technological advancements and innovation, SLU plans to construct a new Interdisciplinary Science and Engineering (ISE) building on campus. This project grosses $50 million and will renovate existing lab spaces in addition to building a brand new 90,000 square foot, three-story structure. Both undergraduate and graduate students will commune in this state-of-the-art collaborative space to learn from different disciplines and conduct experiments. Students will benefit from creative teaching environments and flexible lab spaces. There will be equipment and facilities to encourage students from a range of backgrounds to learn under one roof. The ISE building is just one more way that SLU is investing in student engagement elevation. Alexa, when will the ISE building open? The project is due to be complete by the summer of 2020 – but that’s not the only exciting thing happening. Before the construction begins, Associate Professor of History Thomas Finan will embark on a month-long archaeological dig of the site, which was once the setting of the Camp Jackson encampment during the Civil War. Only time will tell what Finan will discover! Whether you’re more excited about the Echo Dots or the upcoming ISE building, one thing is for sure: SLU is encouraging students to connect using the latest tech, build lasting relationships, and maybe even come up with tomorrow’s must-have gadget one day! Head over to our website If you’d like to study abroad at INTO Saint Louis University. Why not take a 360 virtual tour of the campus? Or, if you’re going to study in the US, find out more about US mascots. Feeling social? 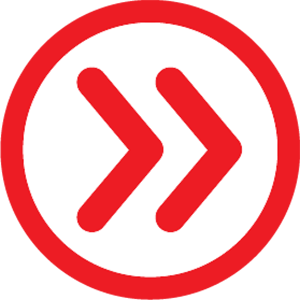 Follow us on Facebook, Instagram, Twitter and YouTube.